Mahindra & Mahindra is close to launching a facelifted version of the XUV500. The upcoming 2018 Mahindra XUV500 will carry several changes on its exterior and interior, and could even have an updated engine. 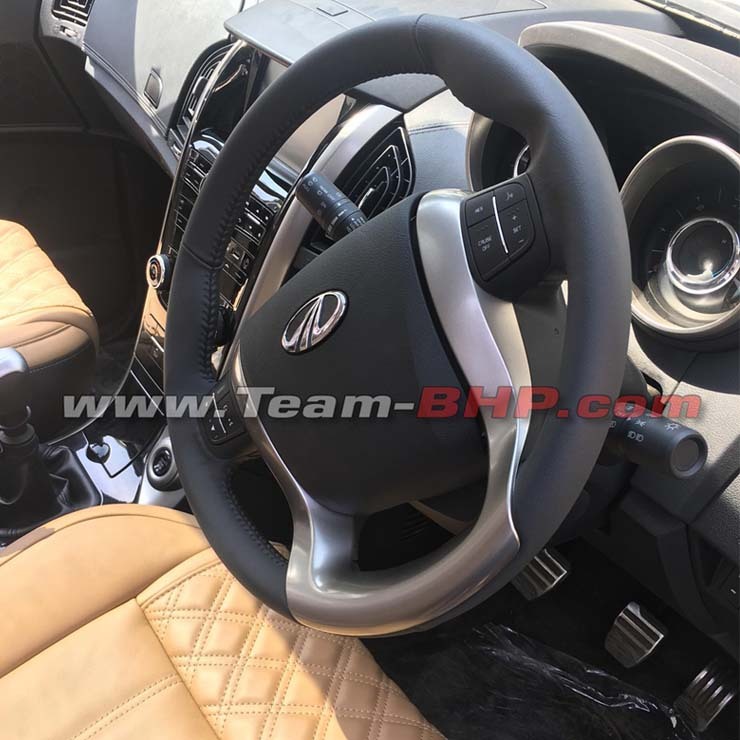 Recently, we posted spy pics of 2018 XUV500’s dashboard and today, we are back with some more images of the upcoming SUV’s interior. The 2018 Mahindra XUV500 gets a tan-colored leather upholstery for the interior. 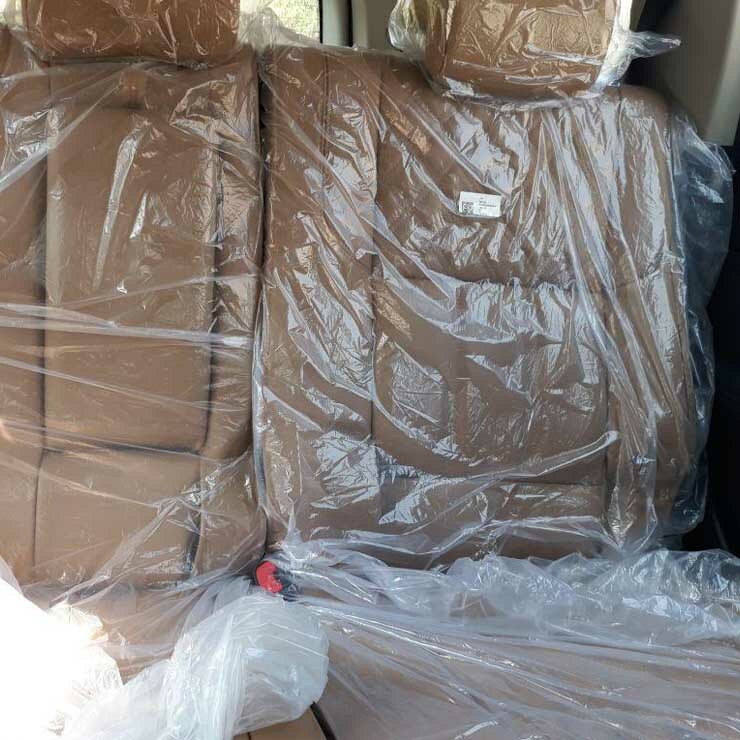 The seat covers have quilted cross-stitching to give the seats a slightly more premium look. Moreover, the dashboard is made up of a faux-leather soft-touch material that further elevates the premium ambience of the cabin. The center console gets some faux-aluminum and piano-black trim. The higher variants will even offer sporty aluminum pedals. The touchscreen infotainment unit will likely get updated. As revealed by the new images, the 2018 XUV500 won’t get a sliding middle-seat. This means that space for the occupants of the rear-most seats will remain limited. All the middle-row and third-row occupants get height-adjustable headrests. The exterior changes will be largely restricted to the front- and rear-fascias. The front-end will get a set of updated headlamps that will offer a projector setup and new LED Daytime Running Lamps. Also, the grille will be new and will have a thick chrome surround and even some chrome inserts. The front bumper will be new, too. The side profile will remain almost the same with only change coming from the new design diamond-cut alloy wheels. The rear-end will see more comprehensive changes. The taillamps will be completely new and will have a triangular look rather than the vertical units on the present car. The bumper and the tailgate will be also new. Speculations are rife that the current 2.2-liter turbo-diesel engine will see some revisions to output slightly higher power and torque figures. The new 2018 Mahindra XUV500 facelift will rival the likes of Jeep Compass. Tata Hexa, Renault Captur, and even top-end variants of the Hyundai Creta.